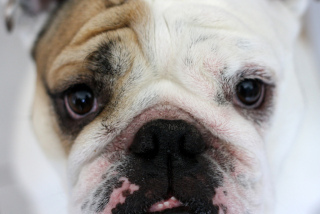 Eye problems are an issue which every pet owner should take into consideration. These natural solutions may not prevent the development of eye problems, but they can promote overall vision health and help slow potential eye disorders. Dry eyes are a problem that can negatively effect your pets vision and overall eye health. To keep your pets eyes moist, try applying a tear replacement product like Optivet Eye Drops. Make sure your pet's eyes are clean before applying any treatments. If your pet does have dry eye, be sure to talk to a vet to see if he might need any medications. Vitamins A, C, and E can help keep your pet's vision nice and healthy. Vitamin A will help keep your pet's retina healthy, and can prevent problems like dry eye and blindness. Vitamin C lowers the risk of cataracts and glaucoma, and is thought to slow vision loss in older age. Vitamin E is thought to slow vision loss with age when taken with other vitamins (A and C). These vitamins can be found in a good pet multivitamin like Total Pet Health Multivitamin. You may also consider buying a multivitamin specifically formulated for vision, and formulated for your cat or dog. 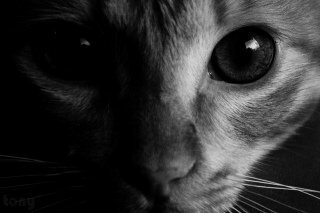 Taurine is especially important for cats with eye problems. It's an amino acid which is essential in maintaining the health of your pet's eyes. Without taurine, your pet's retina can deteriorate, resulting in blindness at an early age. If your pet is suffering from vision problems, have your vet check for taurine deficiency. If your pet is deficient, you can supply your pet with taurine supplements like PetAg Taurine Tablets, or make sure he gets it in his diet. Taurine can be found naturally in meat and seafood. Bilberry, a fruit similar to blueberries, contains essential nutrients to protect eye health. This fruit is rich in antioxidants that are beneficial to vision, and can be very helpful to pet's who are experiencing the early stages of vision problems or eye disorders. Carotenoids like lutein and zeanxanthin can be found in leafy greens and are rich in antioxidants which can prevent vision health. They're thought to reduce the risk of cataracts and can protect eyes from sun damage. These can be found in carotenoid rich foods like leafy greens and deeply colored fruits and vegetables. Make sure a food won't harm your pet before feeding it to him. Carotenoids can also be found in various supplements, however, speak to your vet before giving them to your pet. This natural mineral is linked to good vision and is thought to protect the eye from inflammation and harmful light, such as sun light. It's also thought that zinc slows or reduces the risk of eye disorders, and helps prevent loss of vision. Zinc can be found in most pet multivitamins, and in foods like liver, meat, and seafood. Grape seed extract has a number of benefits, but it can improve the health of the eyes by reducing risk of cataracts and improving blood flow. It contains a high amount of potent antioxidants that provide these benefits. If you give your pet any supplements, be sure to speak to your vet and only provide your pet with the proper dosage.